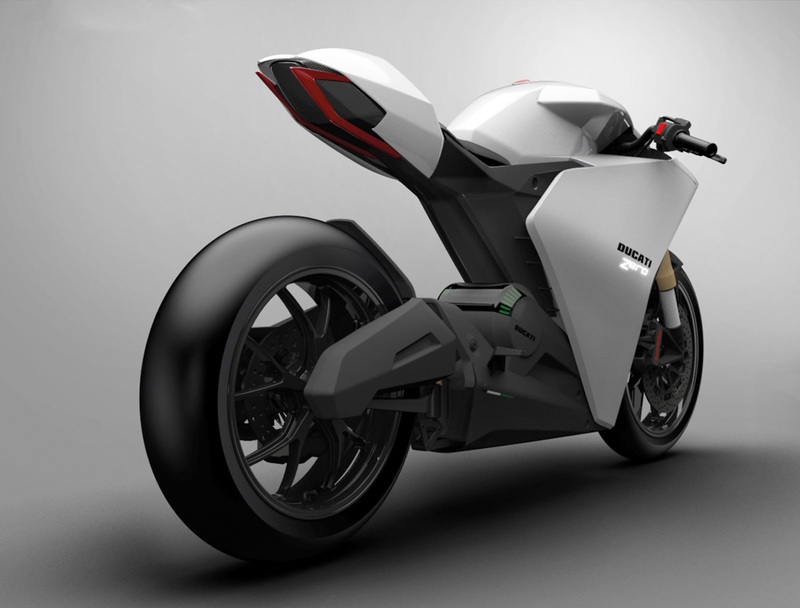 The Ducati Zero is a small, light, full electric superbike. 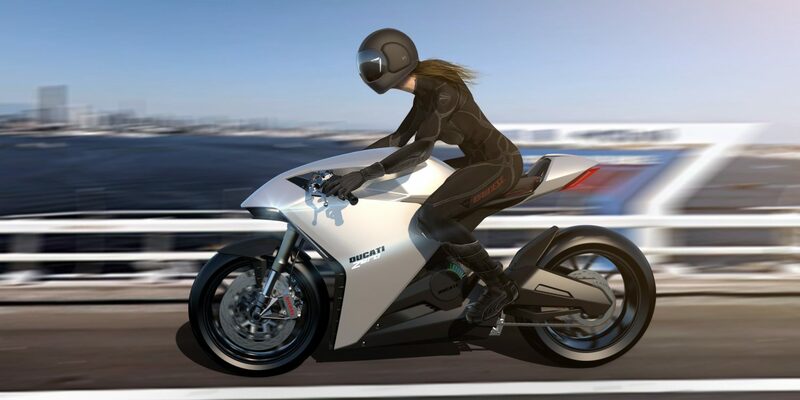 Taking into account the design of the contemporary combustion powered Ducati motorbikes designers explored a new direction, focused on the possibilities created by the components of the electric drivetrain. 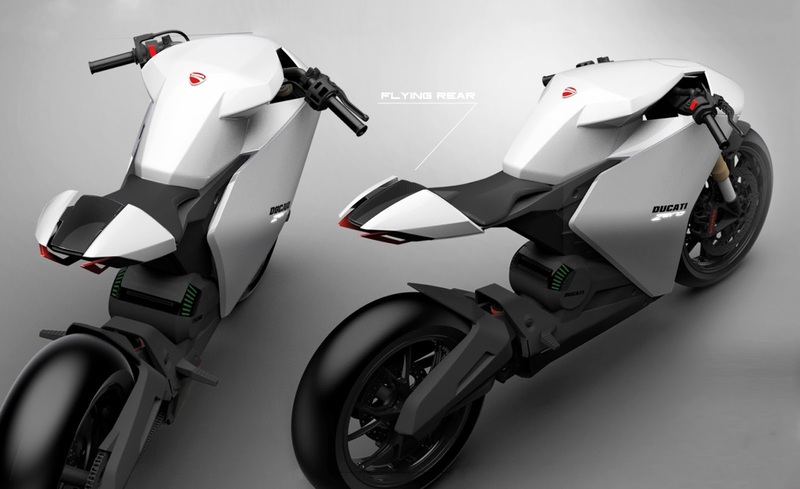 The result is a more minimalistic and smooth approach, with a contrast two-toned body dividing the sculptural- from the technical parts. 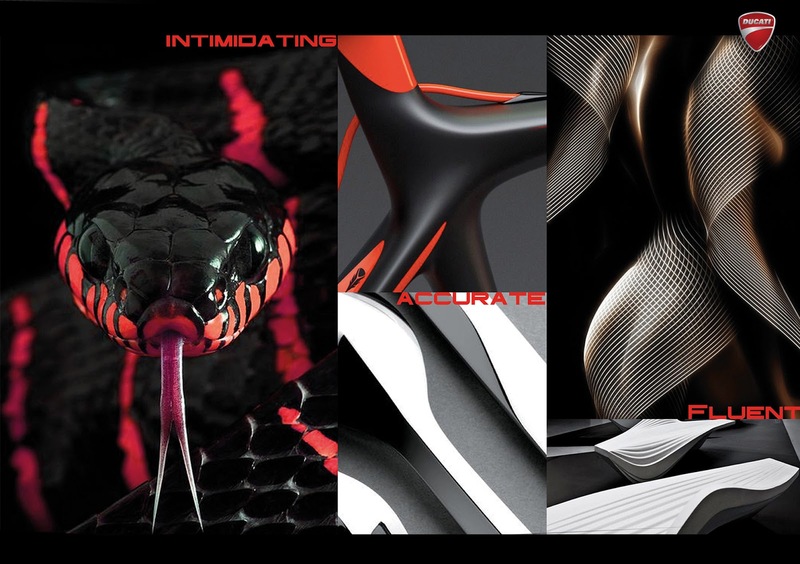 The design of the motorbike is inspired by the attack of a snake resulting into an aggressive and forward moving stance. 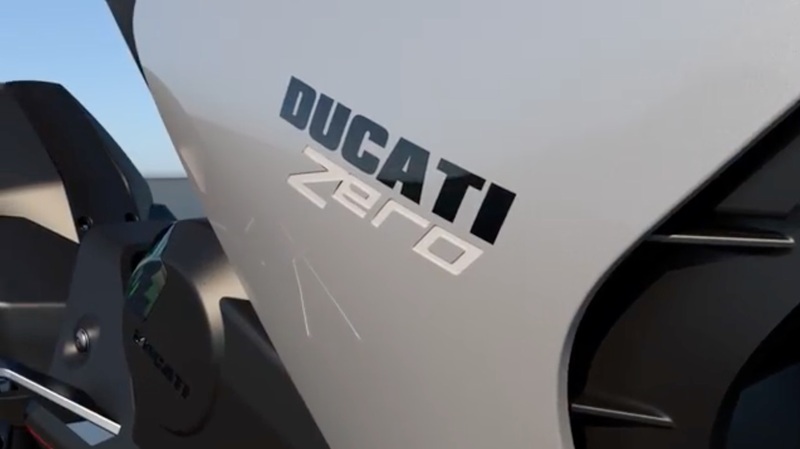 The Zero logo on the side of the bike changes color regarding to the driving mode that is selected, either eco, strada or corsa, proudly presenting the colors of the Italian national flag. 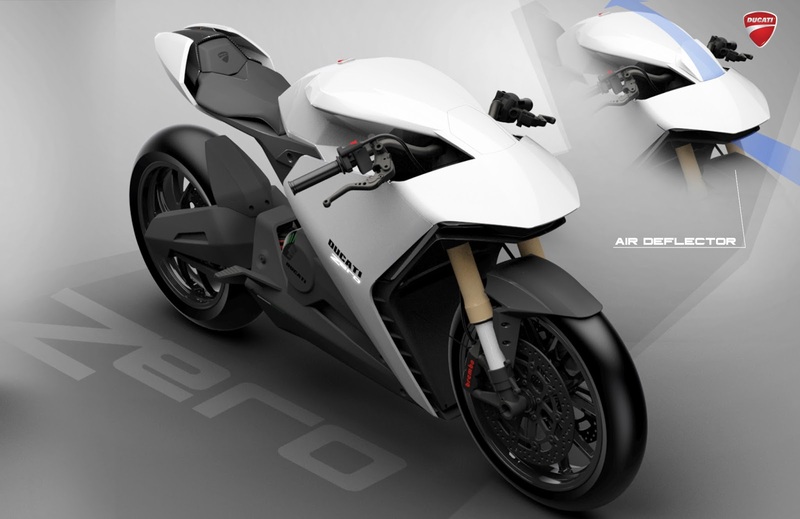 The vertical DLR and Zero logo also double as indicator lights. 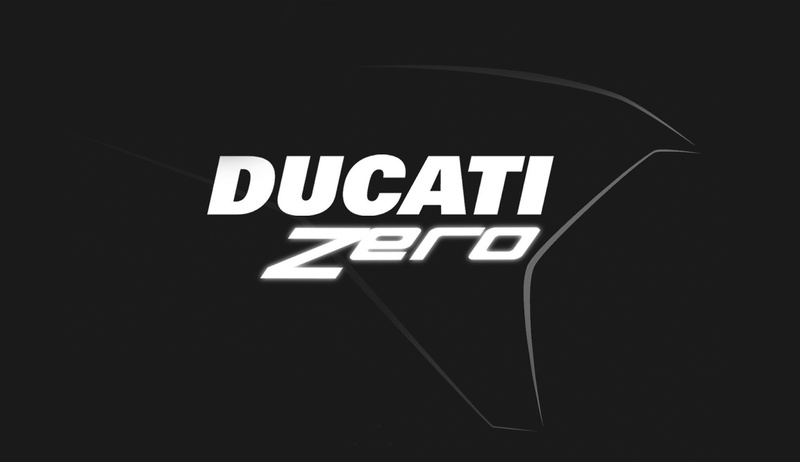 The hart of the Ducati Zero, the electric motor, is displayed through a transparent part in the body. 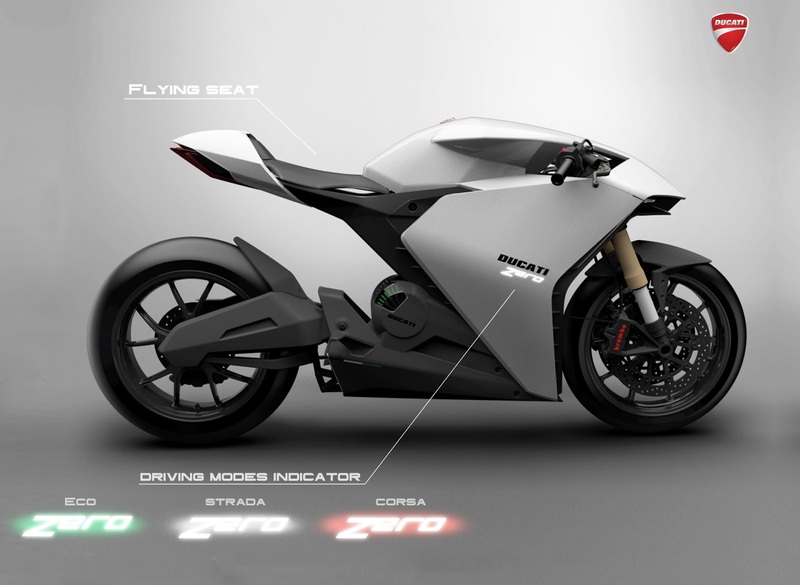 The multilink suspension is fixed on a suspended part of the body and is embraced by the swing arm, making it a compact and integrated solution. 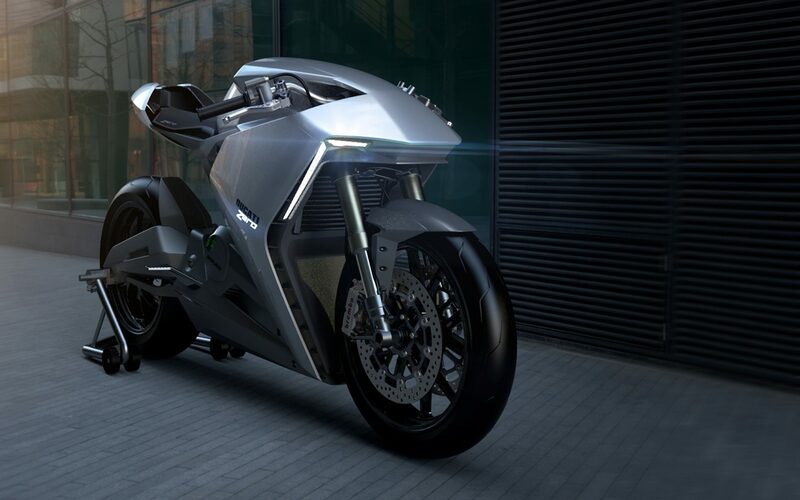 Below the white metallic sculptural body there are channels for the airflow of passive cooled batteries. 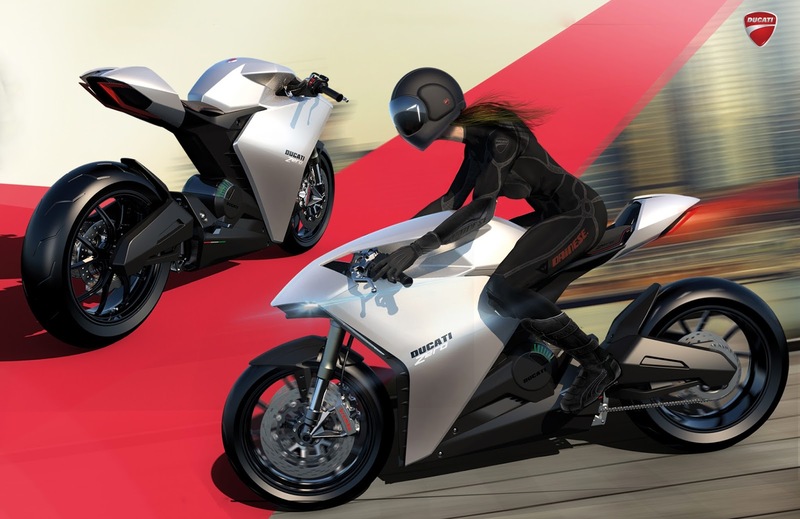 Project developed in collaboration with Ducati Design Studio for the Master in Transportation and Car Design at SPD, Milan.